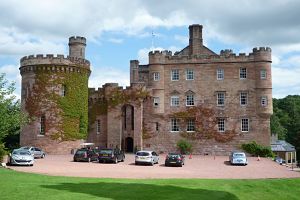 With their magical history, great venues and fairytale surroundings, it’s no wonder Scottish Castle Weddings are in demand to celebrate a very special day in style. 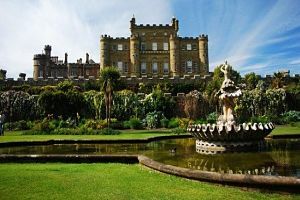 You’ll be on cloud nine, walking down the isle in the footsteps of Kings and Queens, feeling you are part of history as you imagine the banquets, stately dinners and balls that have taken place in the great halls of these historic Scottish Castles. You could even opt for an elaborate medieval theme affair, and invite all your closest friends and family, with all your guests in fancy dress, or if you prefer, you could settle for a more traditional wedding with a formal white dress and veil, and a Scottish piper playing. Many celebrities have been married in our castles. Maybe they come for the seclusion and peaceful surroundings, maybe for the beautiful scenery, or perhaps they’re attracted by the history and romance associated with these magnificent buildings. Whatever the reasons, they have come here, and now you can follow and make your big day an experience that will live with you forever. What could be better on your special day than taking in the panoramic views, and absorbing the tranquillity, the mountains and lochs, green pastures and the skirl o’ the pipes. Castle Weddings are your perfect opportunity to have the fantasy wedding day of your dreams, and Scotland and her Castles have everything you need for a day to remember for the rest of your life. And something to tell your children about? This one is the jewel in the crown. 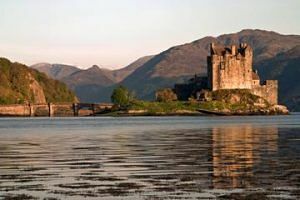 Situated at Dornie on the North West coast and looking to the Isle of Skye, Eilean Donan Castle is one of the most photographed buildings in Scotland and a popular choice for Castle Weddings. 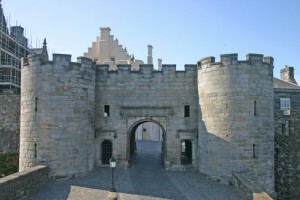 Stirling was home to many Scottish Kings and Queens and used as a defence against warring nations until finally conquered by England in the 16th century. You’ll be enchanted with the stunning views. Dalhousie is steeped in history, with majestic surroundings and is close to Edinburgh, with its many attractions. The capital city is a lovely place, and you have everything you could wish for here for a memorable day. Like so many of Scotland’s castles, Blair has breathtaking scenery with spectacular views. Set in Perthshire, it has attracted many personalities, and that is perhaps due to the quiet and romantic feel about the place. Situated near Gretna in the south of Scotland. Four poster bedrooms and two award winning restaurants. Secluded gardens and woodlands set in a 120 acre estate. 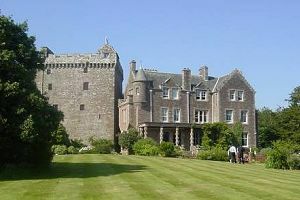 The castle is family run and ideal for Scottish weddings. Culzean is set in nearly 600 acres of beautiful countryside in Maybole, Ayrshire. Enjoy the magical woodland walks, gardens and inviting beaches along with the magnificent building itself, making this an absolute paradise. CASTLE STUART: Near to Inverness and a 20 minute drive from Loch Ness. 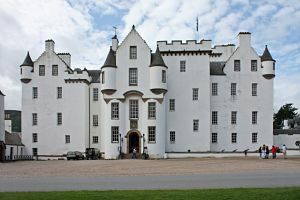 Follow the footsteps of Charles I and Bonnie Prince Charlie, and do it in five star luxury. A comprehensive package is offered here. AUCHEN CASTLE: Although a smaller castle, Auchen is a somewhat peaceful retreat. The castle is set in beautiful grounds with private gardens & woodlands plus it’s own trout loch. This is great four star accommodation. These venues are popular, so if this is your idea of a perfect setting for your special day, please book well in advance. You won’t want to be disappointed for this occasion. See the Scotland Travel Information page for all the information you need for travelling to and within Scotland. Get helpful advice on passports and visas, currency, weather, holiday extras, useful travel links and much more. Traditional Scottish Wedding Soon after the happy couple have exchanged vows and said “I do”, the traditional Scottish wedding is well underway. Find A Hotel In Scotland. Different providers, different prices, and user reviews. Save time and money, search them here for the best deal. Cheap Flights Search facility returns results and price comparisons from hundreds of travel companies to provide you with the lowest air fares.